A smile is the best greet you can offer anyone. All of us expects to have a smile or laugh that portray our glittering white teeth. We often take several steps for our mouth care and keep our teeth shining white. Though teeth are not always reflective and a hidden part of our mouth yet it plays a highly important role in our overall facial structure. You can find different ways for your oral care on www.nicersmile.com. Some of us spend a huge sum of money to maintain the texture and structure of our teeth and to keep it shiny bright. 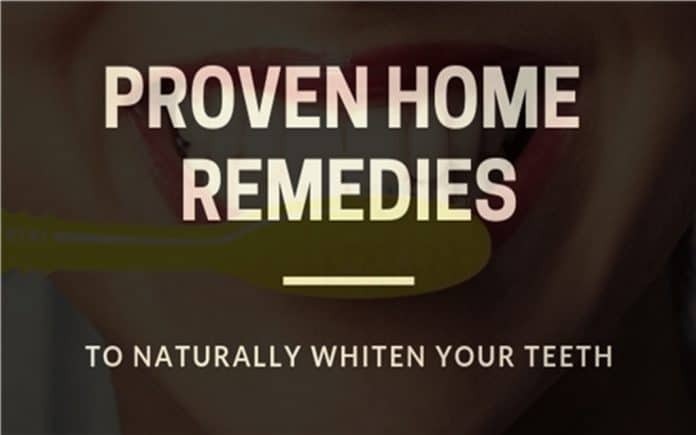 But what if you can maintain the teeth white and healthy by practicing some of the natural home remedies? Doesn’t that sound interesting? Follow the blog to know some of the best ways to keep your teeth white naturally. Brush your teeth after you drink or you eat anything. It may not always be smooth if you are not at home but it is not that difficult if you make it your habit to have your toothbrush and toothpaste to carry along. If you cannot do it everywhere, at least gargle at the particular time and brush once you are back home. No compromise on the age-old learning of brushing your teeth twice a day. Say no to smoking cigarettes. It is one of the major cause that turns your teeth pale yellow in colour. It doesn’t even have any benefits for your health and is harmful in all the ways. Same applies to the intake of coffee, it also results in staining of your teeth. If you are addicted to something that results in taking away the whiteness of your teeth you have to take a very small step, drink lots of water after eating or drinking such stuff. The water would reduce the effect on your teeth to the maximum extent. One of the best ingredients that keep your mouth and gums clean is found in your kitchen. Wonder what? It is nothing but the baking soda. When you mix baking soda and hydrogen peroxide in a 1:1 ratio and rinse your mouth regularly, your teeth will always be white with your gums always strong. You can also make a paste out of baking soda and hydrogen peroxide at home to use it as toothpaste on a regular basis, it keeps your teeth healthy and white. The other ingredient that finds space in almost every home is coconut oil, which gives very fruitful results for whitening of teeth. It can be used in different forms for whitening of teeth. You can either use a clean white cloth dipped at the corner in coconut oil and rub it all over your teeth after you brush. The other way out is to swirl and squash your mouth with coconut oil after you brush, lastly, you can apply on your brush and rub your teeth gently with it. Taking into consideration any of the methods give you effective results. Maintaining your oral hygiene is a must but still, if you do all the possible things for that certain eating habits or drinks may possibly turn your teeth pale. None of us likes to see stains and yellow patches on our teeth, practising the natural remedies mentioned in the write-up can help you to keep your teeth glittering and shiny white always.